Journeys unfold over space and memory, composed of the greatest of distances and the most compressed moments of time. Just as we pack suitcases, we pack our memories into movable units that can expand into endless canvasses. This summer, I took a journey to Fes, one of Morocco’s oldest and most historic cities — a journey along multiple gradients, geographical, spiritual, and personal. If cities define civilization, Morocco is full of vibrant cities. Tangiers, the seaside city has hosted some of the most famous writers and travelers of history. Its white casbah is also a vantage point from where Gibraltar (Jabl al-Tariq) can be seen misting on the Spanish coast. 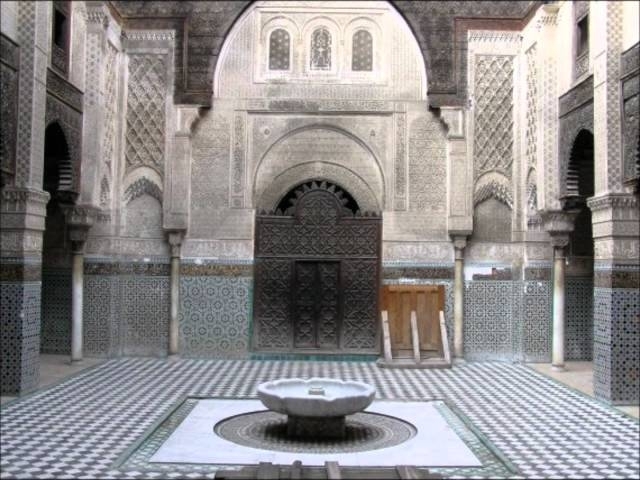 Then there are the grand four imperial cities, Rabat, Fes, Meknes, and Marrakesh, whose monumental architecture is remnant of the skill and ingenuity of bygone Muslim powers. The living tides of Islam, the waves of migration featuring Andalusian refugees, Sufi scholars, tradesmen and adventurers, settled these cities over the centuries like a well-sedimented river-bed. Of the four imperial cities, Fes is the heart of Morocco’s spirituality, its masjids, zawiyahs, and universities still ringing with the sounds of devotion and remembrance. I lived in the Old City of Fes, in the complex maze of alleys and winding streets flanked around by the historic gates, walls and battlements built by the powers who governed the city since its founding in the 8th century. The New City, where the administrative and commercial centers are housed, is on the conventional pattern of European cities, with its boulevards and geometric-style urban grid. Every morning, I would walk through the Old City to the taxi stand, and take a taxi to the New City. The French influence from Morocco’s colonial past is marked on the New City, with its Parisian style cafes and tea salons, crowded by young men and women. Returning to the Old City in the evening time was a homecoming of sorts, walking past the bazaars with their mix of wares, traditional and modern. Depending on the route that I took, I would walk past Berber jewelry stores; ready-made garment shops; stands of freshly squeezed orange juice; laban and dairy stores, with its pats of freshly made butter; leather goods stalls; rug and fabric shops; dingy hovels interspersed with riyads and urban palaces; and ceramic-ware whose colors and intricate designs can press the breath out of the body. Fes is known for its ceramic and tile work, with its deep blue color that one always associates with Islamic ceremonial artistry. A place is not only a map that one can navigate and take-in through the eyes; but a soundscape. For me, Old Fes was the chatter and jubilance of Friday evenings; buses filled with girls returning to their homes from offices in the New City; the splashing fountains of the Batha where men, women and children would congregate around the 2-dirham ice cream stands; the warning shouts of men driving mules through the narrow alleys; or the far less ceremonious boys on motorbikes speeding up the inclines to impress the girl perched on the backseat. 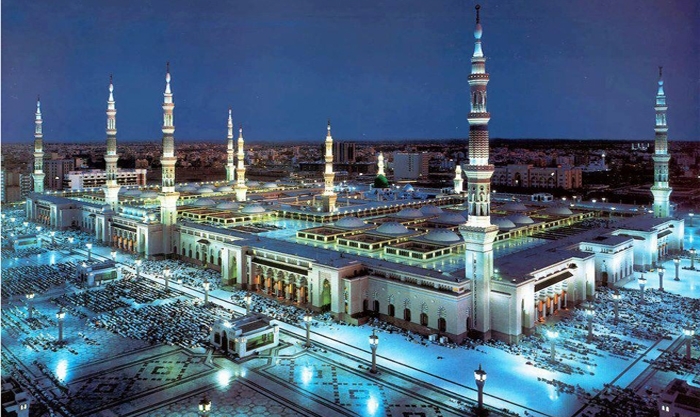 It is also the synchronized swell of adhans erupting from the masjids over the city from the vantage point of a riyad balcony; or the chanting from zawiyahs during Ramadan, the vibrations as elemental as those of a beating heart. Morocco is perhaps literally a soundscape, through the country’s musical traditions. While Salafism is creeping through the landscape, part of the pos-Arab-spring expansion of Saudi influence via petrodollars, the Maghrib is still the last outpost of the Islamic world’s musical traditions. The Andalusian refugees brought their musical traditions with them, which cross-fertilized with African sounds from the deep continent. The ghosts of the great musical theoreticians Isaaq al-Mawsili and Ziryaab live on the deep musicality that seems to erupt from the people. I would wake in the mornings, hearing my host sister singing popular Arab classics. Her untrained voice would have been eagerly welcomed in any singing school here in the US. I witnessed it in the countless Moroccan singers on television, whether they sang classical tunes, Andalusian-style songs, or popular music. I saw it in magnificent Andalusian guitars hanging in the bazaar shops, whose shape is a preamble to deep, mournful lyricism. And as the Maghrib is where Ibn Khaldun wrote his great Muqadimmah, it is intimately tied to Islamic politics. To tell the story of Fes’ history is to recount an important chapter in Islamic political history — it cannot be told without telling the story of Idris I, and Idris II, the founding fathers of Morocco. The grandson of al-Hasan, the Prophet’s (pbuh) grandson, Idris I’s charisma, piety and leadership qualities provoked the Abbasid khalifah to view him as a threat. Escaping from the Abbasid lands, Idris came to the lush Mount Zerhoun, where he received the allegiance of the Berber tribes populating the area. Only a man combining the lineage and the personal charisma of Idris could have united the Berbers, who were divided amongst Judaism, Monophysite Christianity and (a scanty few) Islam, at the time. Idris’ bay‘ah with the Berbers was sealed with a golden axe that the tribes presented to their new leader, a historic totem of power from the Caucasus, from where the Berbers had originally migrated. This was a political contract, one that established a new khilafah independent of the Abbasid Empire, which pretended to hold universal sovereignty over an Islamic Ummah. From Mount Zerhoun, Idris spread Islam over the Maghrib within five years, covering almost all the areas mapped by Islamic North Africa today. The season of hijrah proved fruitful for Idris — the refugee-turned-king became the founding father of dar-ul-Islam in the lands of the far west. Idris’ reign was cut short by an Abbasid assassin sent to poison him. Perhaps it is not so surprising that history, which has a penchant for irony, condemned him to the same death as his grandfather. However, the Berbers would only accept a leader from the same line, so great was the loyalty that Idris inspired within them. They gave their bay‘ah to his unborn son, who would then become Idris II, the founder of the holy city of Fes. 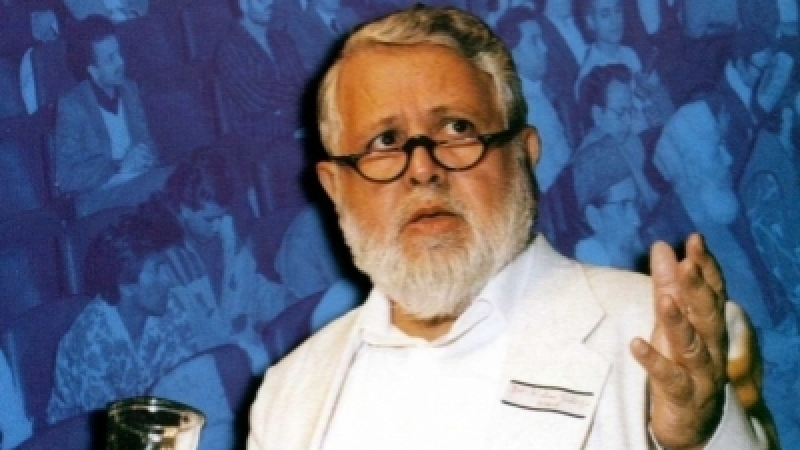 Today, the dynamics of Moroccan politics are influenced by this history — King Mohammad VI styles himself the amir al-mu’minin, and grasps the tools of religious legitimacy as well as political power. While the king seems to enjoy great popularity with the public, at times it appears to be coerced, like the smile of a houseguest having a miserable time. The king is televised at Jumu‘ah prayers in pious garb, and goes through the political pantomime of renewing the state constitution every few years. He is photographed in every imaginable pose — helping his son blow out candles on a birthday cake, shaking the hand of a peasant, and jet skiing on the Mediterranean. The pervasiveness of his image is staggering — his photographs are to be found in shops, masjids, offices, and homes. Yet, there is also a vast network of informers to ensure that approval continues to be demonstrated by a people who have not forgotten the iron fist wielded by his father, Hasan II. Cracks in the smile do appear ever so often — while most Moroccans will hastily deflect blame for exploitative economic policies on the advisors surrounding the king, one local lady openly accused the royal family for Fes’ slow transformation into desert. The lush valley where the city is nestled has been turning brown over the past few years, because the king’s family has diverted rivers toward their private farms. Another example is how the public Andalusian gardens will be closed for the royal family’s use when they are in residence, barring the common public that might put a damper on royal enjoyment. And while the cost of living is quite cheap in Morocco, there is mass unemployment — I met taxi drivers who were educated as linguists or geologists forced to ferry around people for lack of work. The present illiteracy is a contradiction to Fes’ foundation as a seat of learning. Many great minds of the medieval world, including Ibn Khaldun, Ibn Arabi, and Moses bin Maimonides, received their training from its flagship masjid-university, al-Qarawiyyin (declared by some to be the oldest university in the Muslim world). Al-Qarawiyyin’s beauty is reminiscent of an Andalusian palace, with its glacial stucco work, green glazed tile roofs, dazzling white arches, and intricate tiled floors. The present illiteracy of Morocco’s women is a glaring contradiction to the university’s origin — a rich tradesman’s daughter, Fatima al-Fihri, established the university with a private donation in 859ce, founding the world’s first acadmic-degree granting university. Al-Qarawiyyin is down the corner from the shrine of Idris II, where the surrounding bazaar specializes in perfumed oils, prayer rugs, fabric stores, and garment shops displaying Moroccan robes in extravagant, embroidered glory. While I visited numerous times, the memory of one evening walk is at the core of my memories of old world Muslim hospitality. I walked to al-Qarawiyyin Masjid for ‘isha’ prayer; a group of bazaar children recognized that I was a foreigner and trooped alongside me, showing me the way through the dizzying maze. It had grown dark, and those narrow, maze-like streets were no longer safe — something I hadn’t realized at the outset of my stroll. I visited Idris II and prayed ‘isha’ at al-Qarawiyyin, the sounds of its fountain mixing with the rhythmic chants of after-prayer dhikr. I can still remember the cold water from wudu’ at the subterranean marble caverns built from centuries past. As it grew dark, I was thinking about the perils of the walk back through the alleyways — but then busied myself in chatting with the women who had come to pray. In realizing where I lived, one of them voiced my fear — “You can’t go back alone! Dunya qabihah (It’s an ugly world).” Then all the women in mass decided to walk together back with me to the house where I had my residence. Walking back with the women through the urban maze, protected under their elaborate courtesy for guests, the ugliness of the street at night transformed into a benediction. This courtesy and care was as old as the fortress walls encircling Old Fes, an ageless zephyr defiant of all the pressures on Moroccan society — capitalism, consumerism, neocolonialism, vestiges of French colonialism, despotic monarchy, insularism, and more. Journeying to Fes is to come to know this insular inland city of Morocco, which is uncomfortably navigating old and bewildering new worlds. It was to find a place where one locked into a sense of connection to old pasts, worlds, and ways. Morocco is after all, the land of immigrants — its people a mix of Berbers, Arabs and Africans, as well as the Sephardic Jews and Andalusian Muslims escaping the Spanish Inquisition. After all, hospitality means accepting and welcoming, an ethic that is only born of an awareness of difference. Finally, journeying to Fes was an act of remembrance — remembering a historic self-grounded in community that far transcends the sum of our individual selves today.